acrosser Technology, a leading manufacturer of industrial PC in Taiwan, had committed its valuable resource to offering its customers comprehensive solutions for IoT related applications from basic embedded systems for factory automation, durable in-vehicle computers for fleet management to high performance network appliances to VNF and SD-WAN applications. Acrosser Technology expects to provide customers one-stop-shopping solution for IoT applications. OEM/ODM projects are always welcome, and Acrosser Product Managers and R&D teams would strive to fulfill any possible request from customers. In the past, Acrosser had built many successful solutions for customers in many different industries. Here are some examples for your reference. Company A is a hazardous waste transportation company with over 50 years of history in providing safe, dependable and efficient transportation of hazardous materials and wastes. This reputable company had installed Acrosser AIV-QM97V1FL, fanless in-vehicle computer, on all of its fleets to execute vehicle tracking, mechanical diagnostics, driver behavior supervising, fleet security and control, and fleet replacement and lifecycle management. The addition of Acrosser on-board computer AIV-QM97V1FL had significantly improved the company’s fleet work efficiency over 15% and saved more than 10% operation cost since then and still counting. Company K is a Free Zone Company and has grown considerably in terms of production lines, workforce and market share, therefore, they need to upgrade and expand its production with sophisticated machinery , equipment and system to keep up with the rapidly increasing orders. Few months after discussing with Acrosser team, they decided to introduce a new system included Acrosser AMB-HW46S1, 3.5” single board computer (SBC), and AES-HM76Z1FL embedded system. This new manufacturing management system is specifically designed for food factories that ensure the safety, security and efficiency during food production. This new system also helps prevent human errors, facilitates centralized inventory management by adding traceability function, and of course, increases productivity. In the latest case, Company N, a local telecom company, recently needs to upgrade its equipment to provide professional Firewall, network security and web storage service. Acrosser ANR-C236N1, 1U rack mount server, is honored to be chosen among brutal competition as their next generation product. This powerful 1U rackmount server comes with Intel Kaby-lake CPU and also equipped with a hot-swappable HDD/SSD for RAID 0/1 which allows IT staff to remove the malfunctioning HDD/SSD without shutting down the machine, thereby eliminating machine downtime. In addition, ANR-C236N1 series provides a more flexible server platform & system expansion versatility and a set of 1+1 redundant power supply units (RPSU) with AC-IN (100~ 240V) , enabling reliable options for system recovery. After months of running the system, company N is very satisfied with the efficiency and cost-effectiveness of ANR-C236N1. Acrosser technology is a customer-oriented company. We see customers’ needs as our first priority. 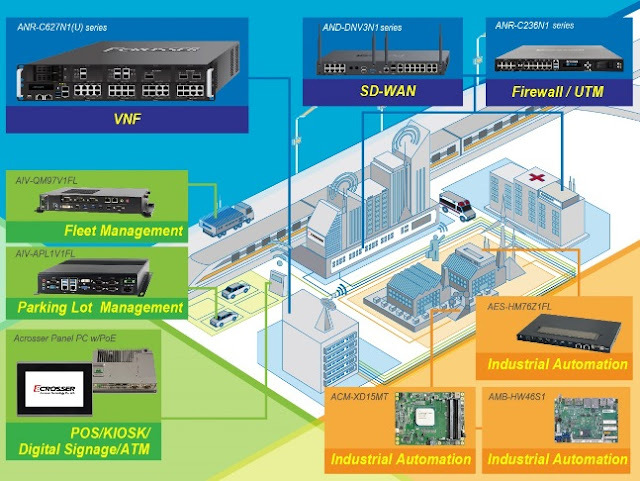 If you need a reliable partner to develop embedded system, fleet management system and network security application, please feel free to contact us, we will do our best to deliver and fulfill your needs. Whether it is the web server, mail server, UTM or any other network application platform, stability and reliability are absolutely the first 2 priority considerations for buyers. Posted on August 10, 2017 August 10, 2017 Categories UncategorizedTags 3.5 embedded board, All-In-One Gaming Platform, AMD, AMD G-series, building automation, car computer, car computer system, car computing, car pc, COM Express module, embedded board, embedded boards, embedded computer, embedded itx motherboard, embedded linux, embedded linux sbc, embedded motherboard, Embedded PC, Embedded SBC, Embedded System, embedded system boards, Embedded Systems, embedded systems companies, EPIC, Fanless PC, fanless pc i7, Gaming Board, gaming machine, Industrial computer, industrial computer manufacturers, industrial computing, Industrial Embedded mini pc, industrial embedded motherboard, industrial embedded motherboards, industrial motherboard, industrial motherboards, industrial pc manufacturers, intel atom motherboard, ISA Half Size, low cost sbc atom, Mini-itx, network hardware, network security, network server hardware, Networking, RASUM guideline, rugged industrial pc, sbc, serial concentrator, singal board pc, single board computer manufacturer, touch screen pc, UTM Appliance, Vehicle Computer, vehicle mount computer, vehicle power management, Wild Range Temperature, window single board computer, windows embedded, x86 single board computer, 單板電腦, 嵌入式工業電腦, 嵌入式電腦, 工業電腦, 無風扇系統, 無風扇系統電腦, 無風扇電腦Leave a comment on Whether it is the web server, mail server, UTM or any other network application platform, stability and reliability are absolutely the first 2 priority considerations for buyers. 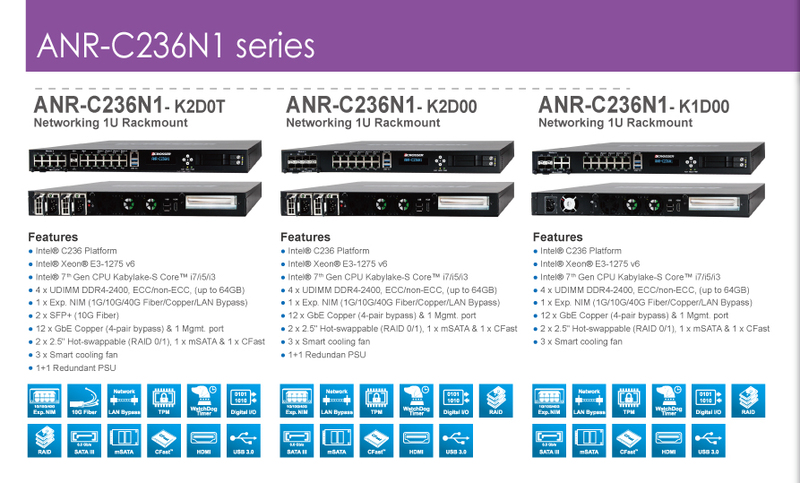 acrosser Technology, a world-leading networking communication appliance designer and manufacturer, launchesAR-R6006 networking platforms based on Intel ATOM dual core D525 processor. It features 1U rackmount with maximum 4GB memory, 6 x GbE LAN ports, 2 pairs LAN bypass, 4 x USB ports(2 interanl USB ports), 3 x SATA ports, 1 x Mini PCI expansion slot and console port. 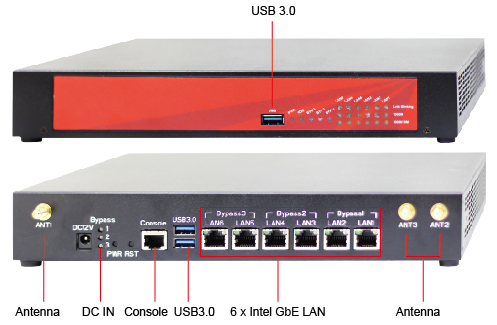 AR-R6006 is a rackmount platform designed for Networking Application, which can be installed in the 19” rack. Both of the platforms offer the best cost/performance ratio in applications like the UTM, IDS/IPS, VPN, Firewall, Anti-Virus/Spam, RSA gateway, QoS, streaming.